Until recently, manufacturers have had limited visibility into factory operations. With no easy way to check machine performance, inventory status, or employee productivity, it was tough to improve efficiency. The IoT has changed the game completely. By using sensors to monitor equipment, parts, processes, and finished products, manufacturers can track every part of the process throughout the plant and beyond. They can view operations as granular as an hour's production on a single machine or as broad as the entire facility's output. 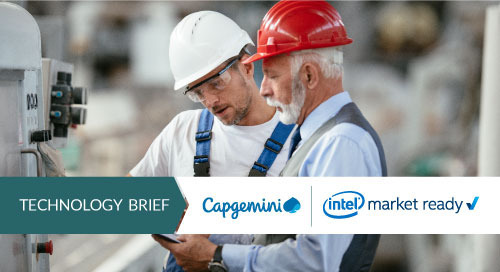 Here's how the IoT helps manufacturers make smarter decisions, innovate faster, nip production problems in the bud, scale more easily, create new revenue streams, and reduce risks. Traditionally, factory automation systems have not been connected to enterprise IT systems. 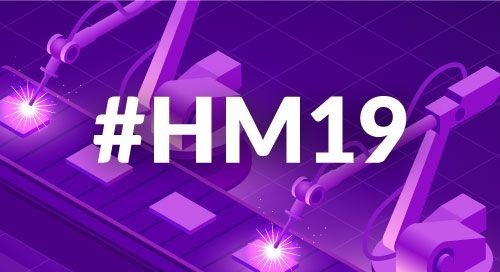 In today's competitive environment, manufacturers cannot afford that disconnect. 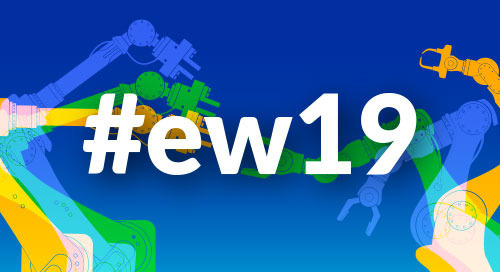 "If you want to optimize operations, reduce downtime, lower costs, or improve your product, the only way to do it is to collect and analyze your data," said Scot Wlodarczak, Cisco's manager of industrial marketing. It's not as if plants don't already collect information. "Factories produce an insane amount of data," Wlodarczak said. But it's locked up in legacy systems that don't communicate with one another—or with managers. A factory usually contains multiple networks, such as Profinet, EtherNet/IP, and CC-Link. 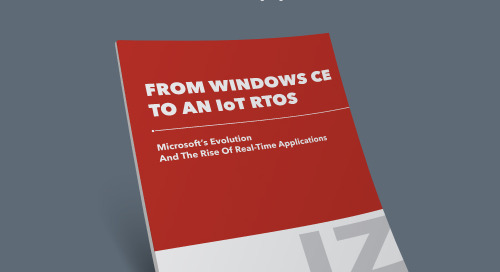 Each uses its own protocols, and most don't connect to enterprise IT. 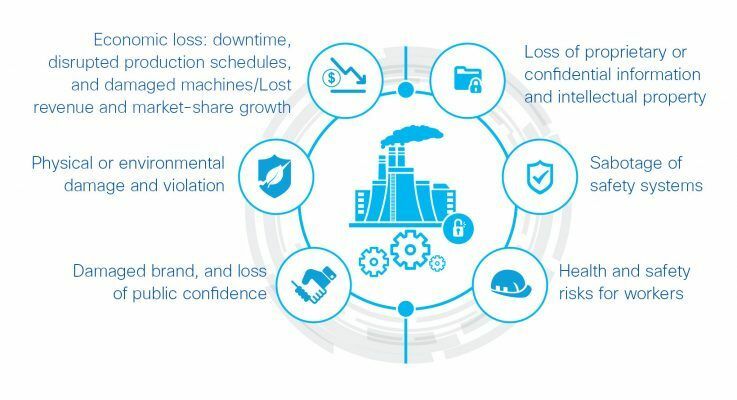 To solve this problem, Cisco Connected Factory uses standards-based Intel® technology to unite these disparate systems. 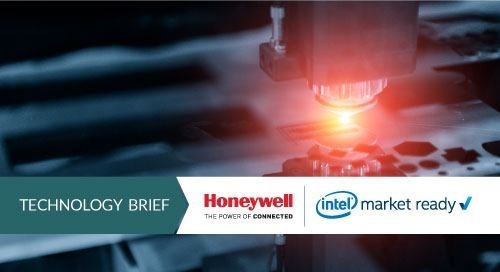 On the factory floor, Intel-powered switches translate the many factory protocols into a consistent Industrial Ethernet network. By transitioning the factory to standard Ethernet technology, the Cisco solution makes it easy to integrate industrial networks with enterprise IT. Now manufacturers can unlock intelligence at every level of the network. Bringing data outside the confines of the plant enables managers to analyze the information and find ways to improve efficiency and innovate. Within the factory, data no longer has to travel to the cloud for processing, but can be analyzed on-site. That means operators can fix machines faster and catch errors and compliance problems before they produce a batch of unusable finished goods. Real-time data also ensures that safety systems are operating properly and that confidential information is kept secure (see Figure 1 below). Figure 1. Using IoT solves economic and security problems for factories. Uniting factory and enterprise IT also eliminates upkeep of old networks, which are difficult and complex to sustain. Replacing legacy equipment is costly, and as systems age, fewer experts have the necessary knowledge to fix them. Moving to a single platform reduces factory owners' total cost of ownership. And the platform is primed for the future. "You have one set of hardware for all legacy and upcoming protocols," Wlodarczak said. That means if you make changes to machinery or automation processes, you don't need to invest in new networking equipment or worry about connecting to a host of incompatible systems. IT workers can use secure access to configure everything remotely. While connecting the factory brings cost savings and drives innovation, it also raises fears about security. According to the Cisco 2016 Annual Security Report, the manufacturing sector's security infrastructure already ranks among the lowest in quality. 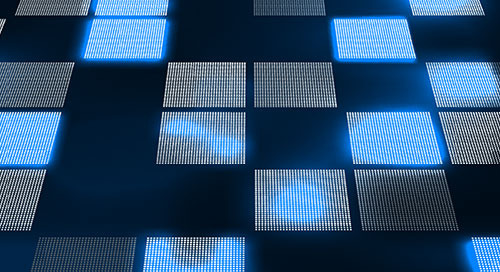 More connective interfaces mean an even wider surface of attack for hackers. Here, too, connecting operations technology to IT helps. Security vulnerabilities exist because the two systems provide different levels of protection. 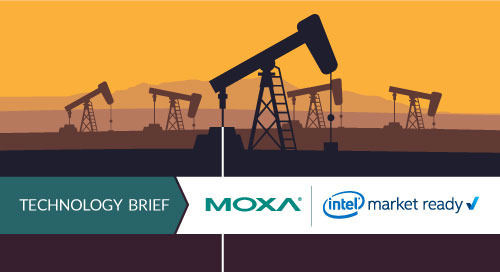 Cisco's ruggedized firewalls and gateways, powered by Intel technology, keep data safe wherever it goes while transferring it quickly both inside and outside the plant. Using a single platform allows IT to centrally manage security and add or update policies remotely. That improves efficiency, as well as security. "Would you rather buy security solutions from 15 different vendors and hope they work together, or go to one that's field-tested in interoperability?" Wlodarczak said. By working with Cisco to segment their networks, manufacturers can keep threats from escalating. "If Machine A can't talk to Machine Z, a hacker can't jump from one to another and collect data," Wlodarczak said. 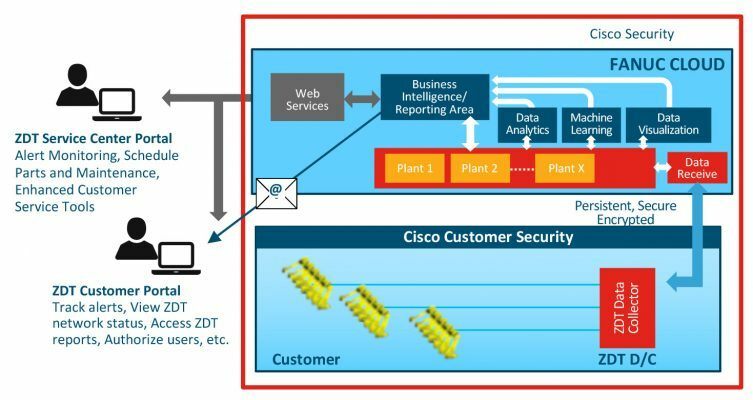 Configuring security settings at a factory is usually a complex, time-consuming process, but Cisco has simplified it enough for factory supervisors to do it without IT help. Security isn't just about keeping outside hackers at bay. Manufacturers share enormous amounts of information with partners and customers, usually by providing them with access to a database. But that can be dangerous. Cisco is developing a system to programmatically select the information that gets sent to outsiders. "Data is like fish in a lake. We're working on a way to send only largemouth bass instead of everything," Wlodarczak said. Factory operators can also view data selectively. Machines produce too much information to be digested during the normal course of work, but supervisors can set alerts to warn them if trouble is brewing. "A sensor might read a data point 10,000 times a day, but you can ask to see it only when it deviates from a certain range," Wlodarczak said. "Before a machine gets out of tolerance, you can let people know and take action before it starts making bad parts." Supervisors can also get a fast feel for operations as they walk the production line. Their wireless devices display the most important data for each area they pass, from assembly to refining and packaging. Scaling is also faster with IoT. If a company wants to add a new line or production cell, Cisco has a network-managing tool that helps deploy the expansion automatically. 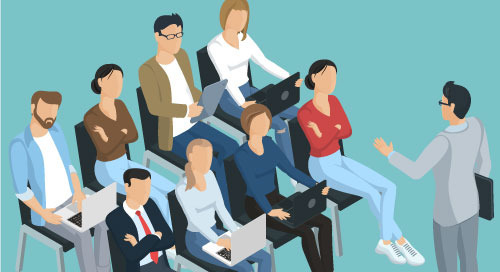 An IT group can create policies and settings in advance, saving hours of time and preventing new additions from bogging down existing production. "It gives you plug-and-play capability," Wlodarczak said. Throughout the manufacturing environment, IoT gets the right information to the right people at the right time. It cuts through the wall that separates designers, engineers, and executives from the factory they manage, and enables them to "see" what they're doing. Analyzing data from machines and automation systems lets them measure the effectiveness of specific areas or the plant as a whole. The insights they gain can generate ideas about how to boost efficiency, improve products, test new systems, or add new business lines. After implementing Cisco's system, kitchen appliance maker Subzero drastically reduced its machine downtime. Like many companies, its factory and engineering headquarters are in separate locations. In the past, if there was a problem at the plant, engineers had to fly from Wisconsin to Arizona to diagnose and fix it while production stalled. 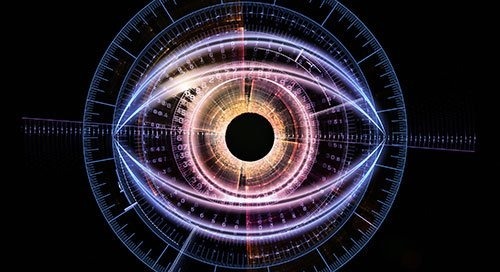 Engineers were now able to see video footage of machines operating in real time. Combining that with data from the machines, they could suggest or even implement solutions from their desks. As a result, the company experienced less downtime and gained $2,500 per production line per hour. It also saved $40,000 in engineer travel costs and more than $100,000 in field testing costs. Employees often have trouble connecting with one another across a sprawling plant. That was the case at Daimler Trucks, which was plagued by unreliable legacy networks. The company implemented Cisco's robust infrastructure and WiFi network, enabling employees to communicate via iPads. They can now check on availability of parts and have them sent from the warehouse without leaving their jobs. Each of the many types of wheelbases, axles, and other truck components the company makes now contain RFID tracking to ensure that they meet up with the appropriate vehicle at the right time on the assembly line. RFID and other data is also transmitted to managers, helping them keep the plant running at peak efficiency. 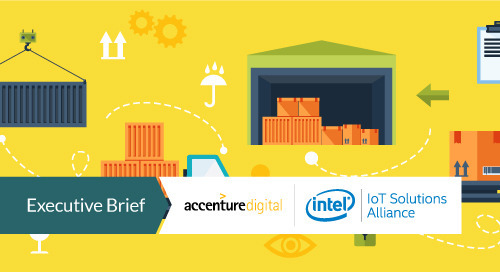 IoT's role doesn't end when products roll off the line. Manufacturers can embed finished goods with sensors that relay operational data back to them, helping to resolve customer problems without travel and costly delays. That was a life-saver for robotics company FANUC, which had no insight into how its customers used the robots it made until they broke down and required maintenance. 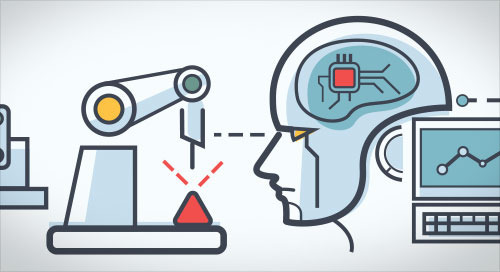 With Cisco's system, FANUC now receives updates enabling it to predict problems and ward them off before the robots stop working. Figure 2 shows how IoT data helped FANUC improve its customer service. Figure 2. FANUC uses IoT to improve the customer experience. Product monitoring not only lets manufacturers take customer service to a new level, it can help them create new business lines by upselling or adding service contracts. "You can predict maintenance and ship out parts before something breaks. Instead of just selling a product and being done with it, you keep the revenue stream going," Wlodarczak said. By connecting facilities from end to end, manufacturers can securely collect, transmit, and analyze information throughout the plant and beyond. IoT helps them maximize efficiency, prevent problems, innovate, scale up quickly, and serve customers better. 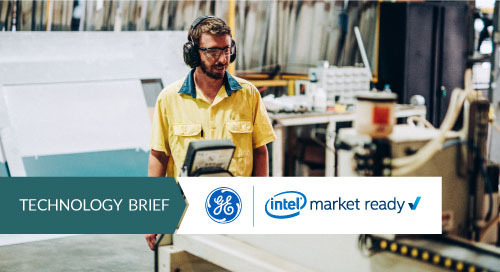 Powered by Intel and Cisco, today's intelligent, self-monitored, self-optimized factory is bound to reveal still more ways to improve operations in the future.